That Won't Let You Down! 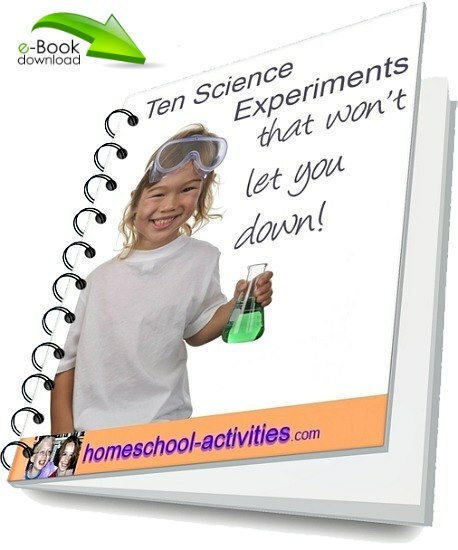 Your free e-book has the best ten kids science experiments that won't let you down! 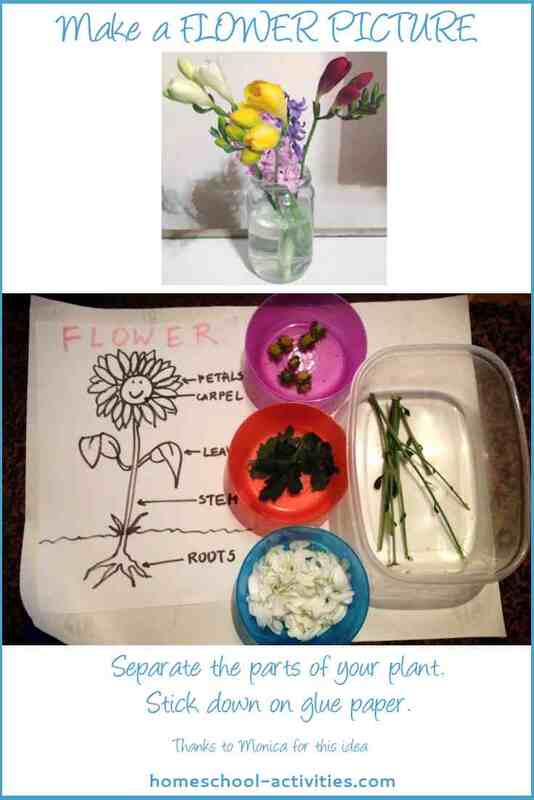 I've picked these fun and easy experiments specially for you after years of teaching my kids at home and hunting through book after book. Easy to do using stuff you'll mostly find in your kitchen. Try making blood, a home school archeological dig and glow sticks in the bath! I wanted to share with you the ten top easy science experiments my children enjoy the most and - can't go wrong! 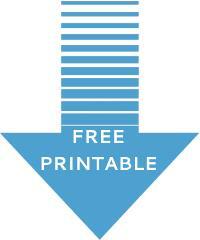 You can get your science experiments for kids e-book here. Below, you'll find links to all the pages in the book which show you more ideas, fascinating facts, and the science behind your experiments. 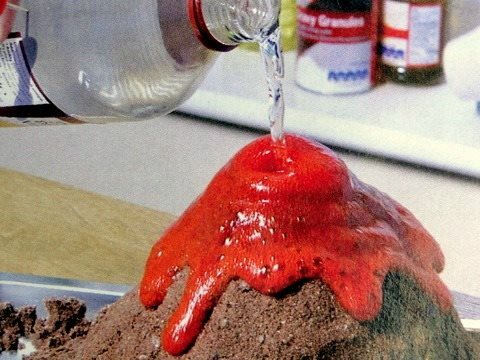 Learning how to make a volcano is one of our favorite easy experiments for home school. We'll show you how to make a volcano erupt in two ways. Both are really simple and never cease to amaze, but if you try one of the diet coke and mentos science experiments - stand well back! 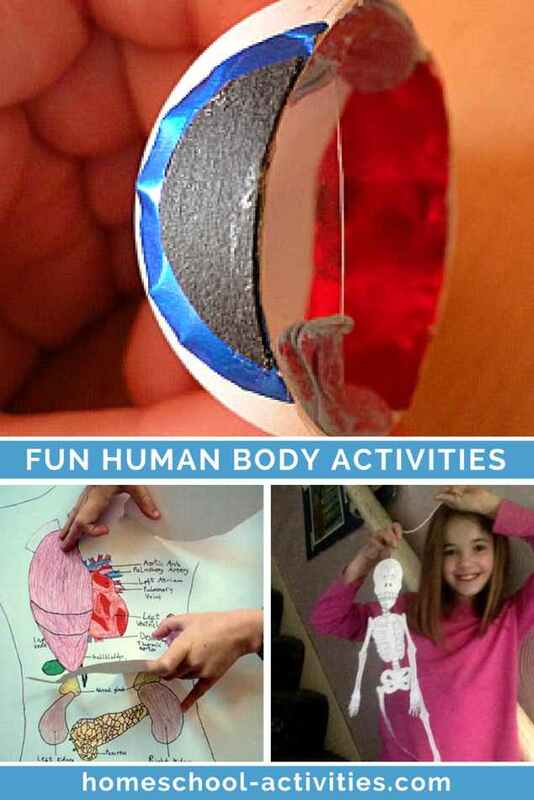 Reveal the human body in a way it's never been seen before with our human body for kids activities. Make an eyeball, measure blood in a bucket and listen to your heart with a homeschool stethoscope. 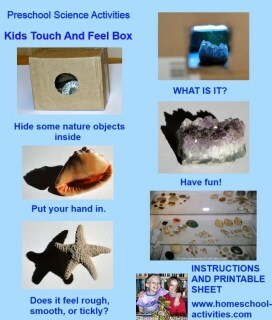 Sett up a touch and feel box to put your hand inside - great fun! If you're looking for my favorite simple kids experiments, look no further than this page. 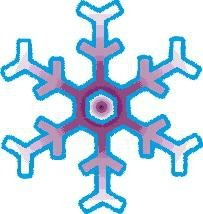 You'll see a lovely idea making a flower picture and another on the magic of milk. Just add some food color and a drop of dish soap to reveal a swirling sunset! Growing sugar crystals is one of those easy kids science experiments which are perfect for showing your kids how to make simple crystals and enjoying the wonder of the shapes they make. Our silly putty recipe is simple to make and one of those really easy experiments to add to home school. You'll find fun ideas for ways to test the properties of silly putty, including trying to blow it up into a balloon. Our home school experiments showing you how to make slime are easy to do and lots of fun for kids, if a little yucky! 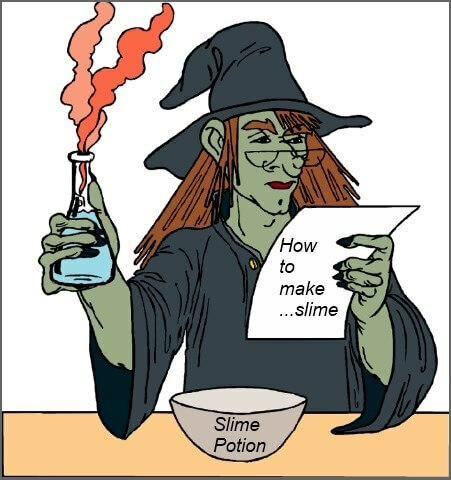 We'll show you two home school recipes for slime. The first uses borax but we'll also show you an easy way to have fun with quicksand using just corn starch. Doing kids experiments which include dissecting an owl pellet might not be the first thing that comes to mind! 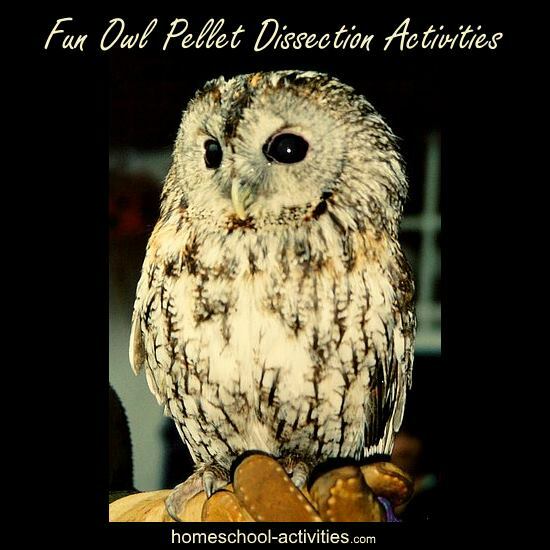 But don't be put off; it's easy to get hold of owl pellets and they provide the best way I know to make owls fascinating and find out all sorts of fun home school facts. 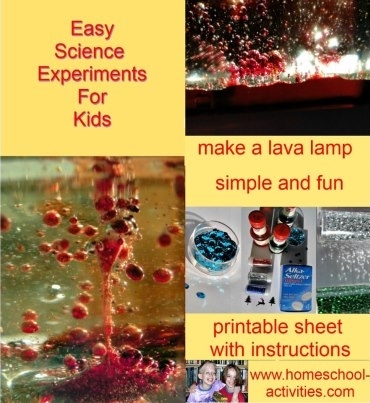 Making a lava lamp is one of those really easy science experiments for kids which you'll find as exciting as your kids! You get to add some glitter and a reindeer too. 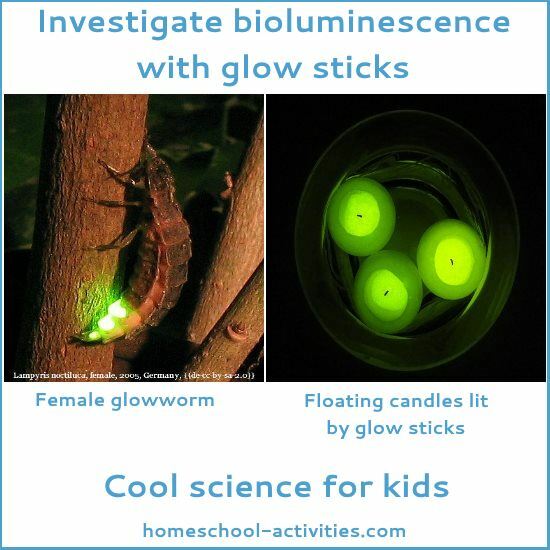 A great way to have fun with home school science! Cool science experiments don't get much better than using glow sticks. See how to imitate a glow worm, try glow sticks in the bath and give Easter Bunny a surprise! 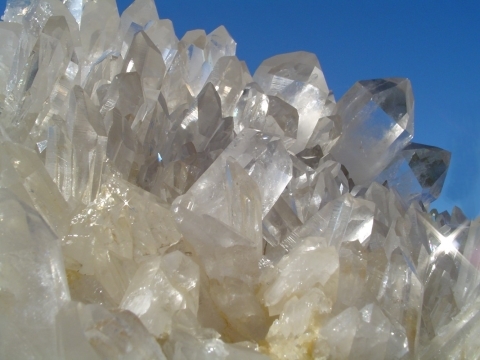 You'll find lots more ideas for projects on our home school science page. As you can see, there are lots of different kids science experiments you can try but they all have one thing in common - they're really easy and your kids will love them.